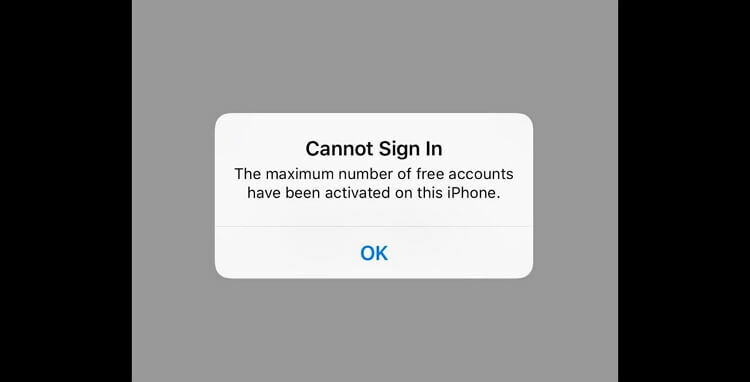 Have you tried to create an iCloud account on your iPhone and you see an error message saying, "The Maximum Number of Free Accounts Have Been activated on this iPhone?" This error message can pop up even when you are certain you didn't create many iCloud accounts. If you see it, it is likely that you have exceeded the limit of the number of iCloud accounts you can have on one device. If you are sure you haven't, the following solutions should eliminate the problem. Why You See This Error Message? 1. Why You See This Error Message? Before we begin with the solutions, it is important to understand why this issue happens. That way, you can at the very least prevent it from happening again. On your iPhone, there is a limit to the number of iCloud accounts you can create. You can sign in to an unlimited number of iCloud accounts, but you can only create 3. Therefore, if you are seeing this error message and you are certain you didn't create 3 iCloud accounts; it is likely that you bought a second hand device and the previous owner had exhausted this limit. That said the following solutions can help you fix this issue that users cannot sign in the maximum number of free accounts have been activated on this iPhone. When this error shows up, it means that you are unable to create the new account, let alone to log it in on your iPhone to perform the task you need to perform. If you are on a browser instead, it can be easier to create a new account without having to go to Settings on your device. 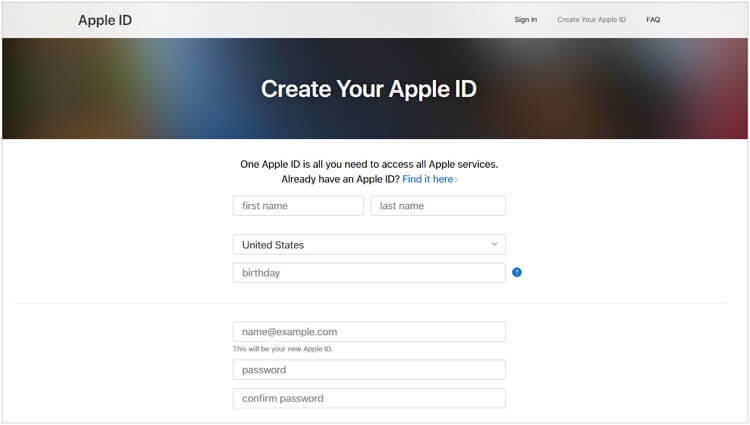 Step 1: Go to https://appleid.apple.com/account#!&page=create and follow the instructions to create an iCloud account. Step 2: After creating the account, go to your iPhone, log in to the iCloud account you just created. If you create an account on a computer but you are still unable to sign in to your iCloud account, you may need to restore a backup to the device. 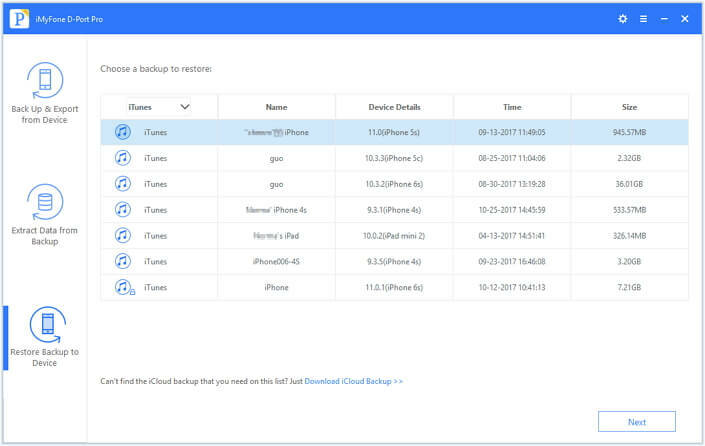 Depending on your backup method, you can choose to restore from an iCloud or iTunes Backup following Apple's instructions. These are great options but you can also choose to use iMyFone D-Port Pro to restore the backup. As a professional backup and restore tool, it offers more options than restoring backup from iCloud and iTunes. What Is iMyFone D-Port Pro and What Can It Do? 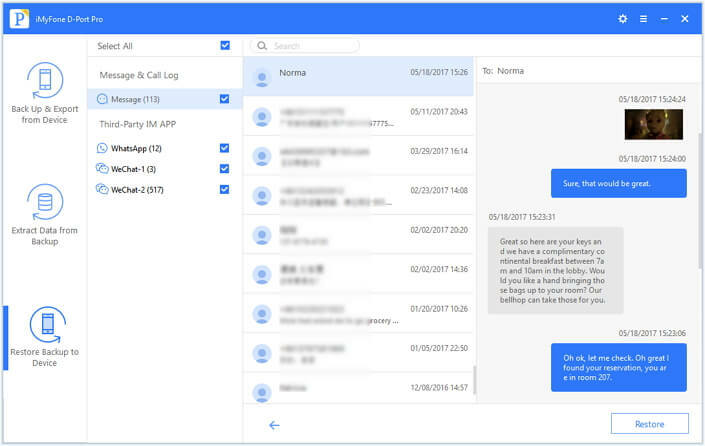 It is very useful when you want to create backup for certain data, such as WhatsApp or messages, on your device in a single click. It can be used to easily restore certain data from an iTunes or iCloud backup to the device, which is what iTunes and iCloud cannot do. It is also useful when you want to export data from the iOS device/iTunes backups/iCloud backups to the computer. It supports restore backup to the latest iPhone X, even if it runs iOS 11.4. 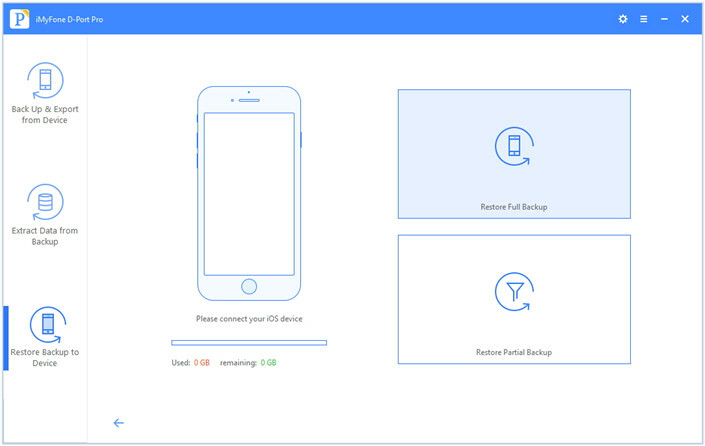 How to Restore a Backup using iMyFone D-Port Pro? Step 1: Open D-Port Pro and in the program's main window, click on "Restore Backup to Device." You should see a list of all the backups available on that computer. Choose one backup you want to restore and click Next. Step 2: Connect the device which gives the error messages "The maximum number of free accounts have been activated on this iPhone" to the computer if you haven't already. Then choose you need to restore the whole backup, or only partial data in it. Here we will show you how you can restore partial data from a backup, which is iTunes or iCloud cannot do. Just choose "Restore Partial Backup". 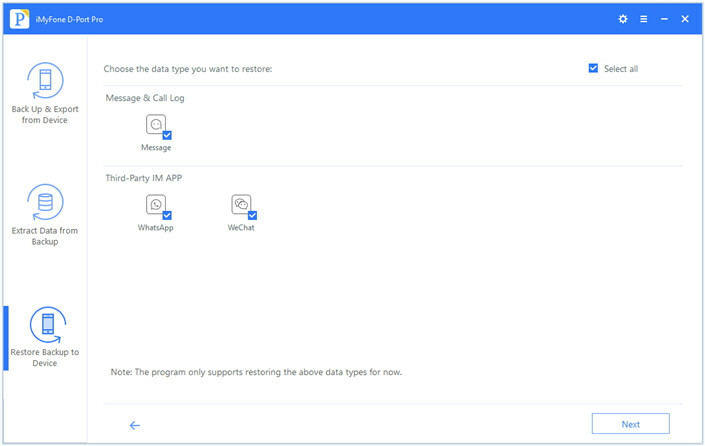 Step 3: The program will allow you to choose the data types which you want to restore from the backup. If you are sure you want to do this, click on "Next" to scan the data. Step 4. Then you can preview the data you chose to confirm that they are what you need. Click Restore to begin the process. 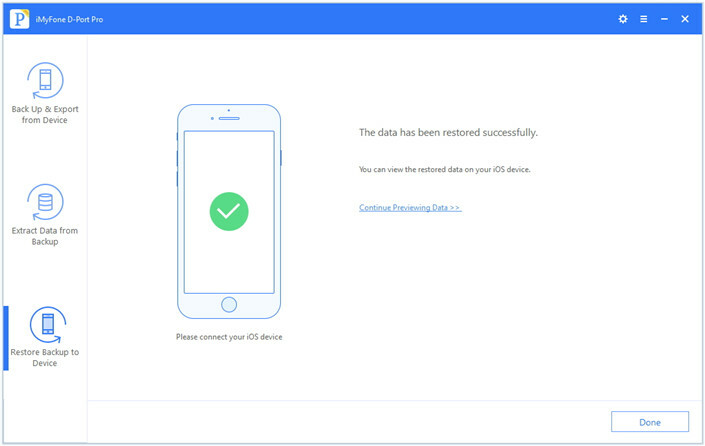 Step 5: The program will immediately begin restoring data to the device. Depending on the amount of data on your device, the process can take some time. Ensure the device remains connected through the entire process. When it is complete, you will see a notification and you can now access the data on your device. Let us know if the solutions above worked to fix the problem of "The maximum number of free accounts have been activated on this iPhone". If you know other methods, please leave a comment and we will add them to the article.